How long, and what, have you been racing? I’ve been competitively racing karts since I was 7, but the very first time I drove a kart was when I was 4 years old. I was about two years old when I was walking with my parents, out of a mall. A blue car sped past us in the parking lot and it was at that point I told my parents I wanted to drive a blue race car. My parents were crazy enough to put me in a kart, when I was 4, in Hamilton. Have you been behind the wheel of an F1600 racecar yet? I have tested an F1600 with Brian Graham Racing. The test was amazing! The car was nothing like anything I’ve ever driven before and I can honestly say it was the most fun thing I have ever done. What is your number and why did you choose it? Although I’ll be running the number 4 car with BGR my favourite number is 11 because when I was choosing a number for karting, obviously I wanted number 1, but my dad said I had to earn it, so I just added another 1. Which became 11. Which track raced has been your favourite? My favourite track I’ve raced on would have to be Trois-Rivieres, in Quebec. It was a circuit made up inside the GP3R track and I loved it. I won my first race there in the Eastern Canadian Karting Championship series in 2012. The track I would most like to race at would have to be either Laguna Seca or Spa. I would say those tracks because when I would practice on my PS3 at home, it was always those tracks that intrigued me the most. The history and the elevation change at both is remarkable, and I’ve always loved it in the game. Doing it in real life would be amazing. My best racing memory would have to be when there was a kart race organized with the Toronto IndyCar race. Not only did I get to race with immense competition, but I also got to watch my very first IndyCar race live. Who is your favourite driver from any generation, and why? My favourite driver would have to be Greg Moore. My dad always liked him and that’s how I became aware of Greg. He became my favourite after watching videos of him racing and I can relate to him because he was the youngest on the grid and in karting I was usually the youngest on track. 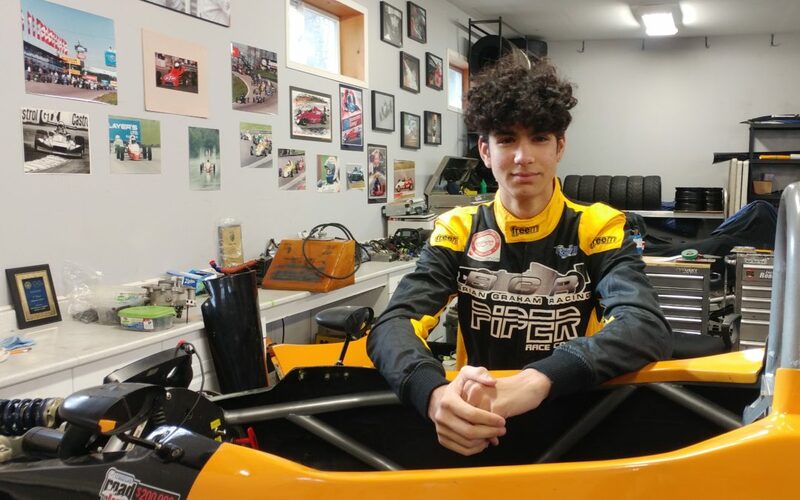 For 2019 I am focused on winning Rookie-of-the-Year in the Toyo Tires F1600 Championship, gaining experience, and in a best-case scenario, winning the entire Championship.